Hello again everyone Jenn here bring you all some updates! I posted last time about making a pumpkin hat, and trying to figure out how to make them, well... I did it! 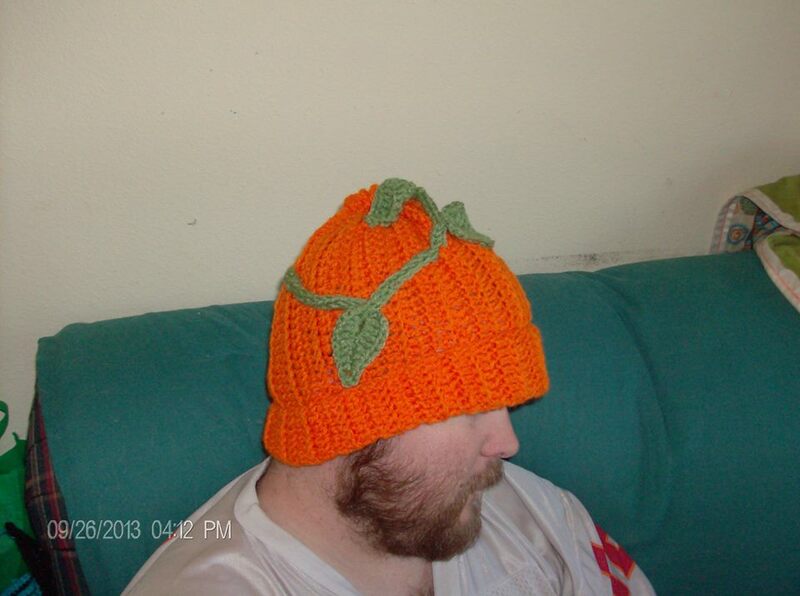 This is how the pumpkin hat you all saw before turned out! 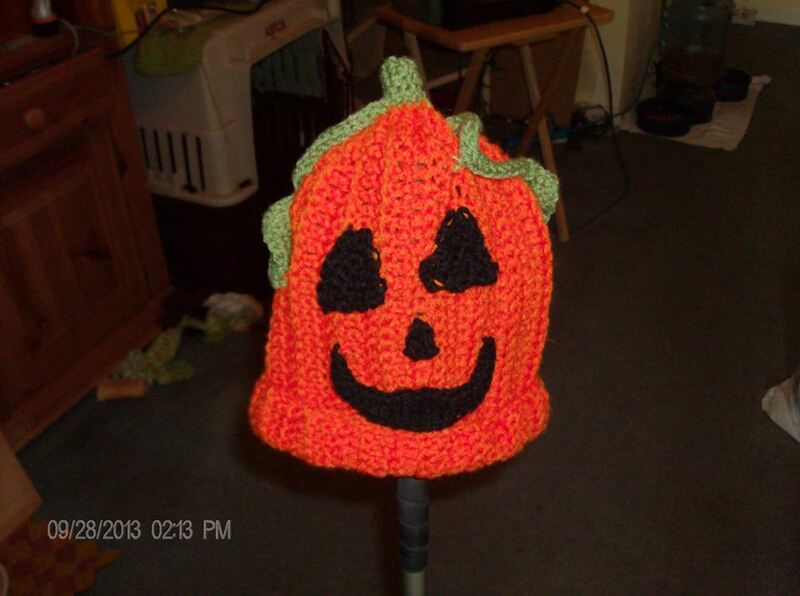 This is the second hat I made from the original pumpkin hat pattern. 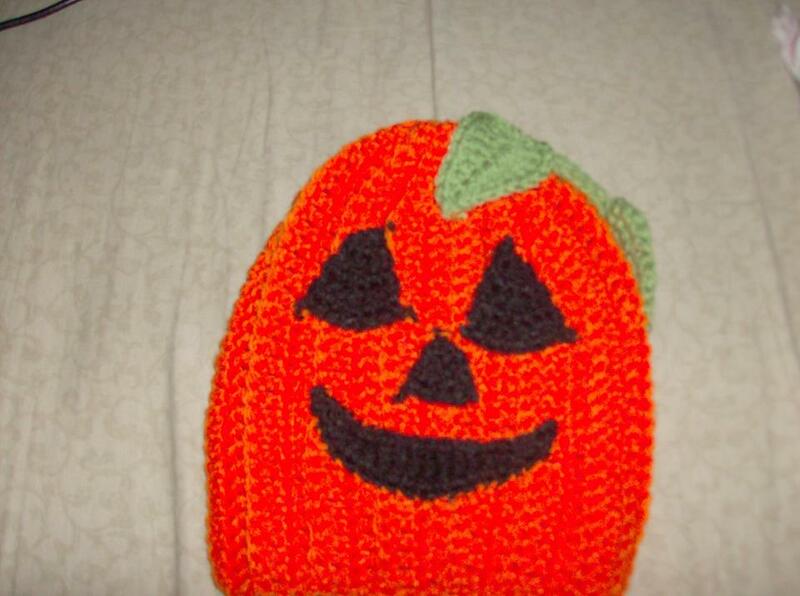 Except, this one is the first Jack O Lantern hat I have attempted. This is the third hat I made. The Jack O Lantern hat. Well everyone it's time to go again, but as always Happy Crafting!